Srramappa and Renuka were expecting their third child in September end. Having been parents to two wonderful girls, they were as excited to welcome the youngest one. 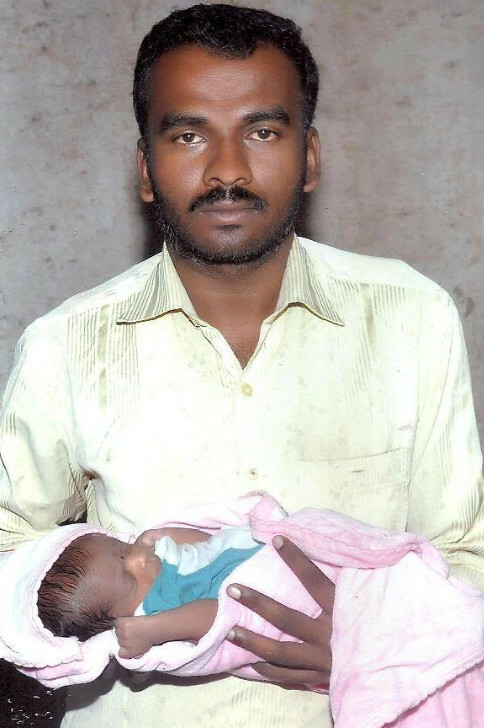 Their little rented house in Kolar was getting painted to welcome Dusherra with the new born. Renuka’s mother was going to visit them soon to help the new mother. Everything was going per the plan. A routine check earlier that week confirmed Renuka was baby were doing good and there were nothing Srramappa had to worry about. "My neighbour wailed on the phone saying Renuka fell and isn't moving"
On the last Monday of September, Srramappa had to go pick up Renuka’s mother. With kids in school, he was left with no choice but to leave Renuka alone. Though the neighbours assured to look out for her, the husband in him wasn't feeling right. “It is our third time, still this nervousness?”, Renuka joked to calm his nerves. The neighbours took Renuka to local hospital. But her condition required immediate CT scan to diagnose her condition. Lack the facilities was putting both mother and baby’s life in danger. They immediately brought her to Manipal Hospital, Bangalore. The CT scan revealed Renuka had multiple seizures which caused the fall and Right Frontoparietal Bleed with midline shift. The baby had to immediately delivered and Renuka had to rolled in for urgent craniotomy. Today, Srramappa is a father of a beautiful and healthy baby-girl. Tears roll down as he holds his daughter every time. Till date, Renuka has not held the baby even once. She is hooked to the ventilator. Though there has been improvements it has been very slow. This concerns Srramappa. “I know my wife needs this care. know she is recovering but I don’t know how will I pay these piling bills? After my accident, our income is barely Rs. 200 a day. Srramappa earns not more than Rs.200 a day. His and Renuka’s family had to mortgage the only land they own to settle bills worth 8 lakhs in 8 days. The Doctors suggest she needs critical care for at least 45 days more. The treatment for which costs 15 lakhs. I am Debotri, a fellow at Milaap. 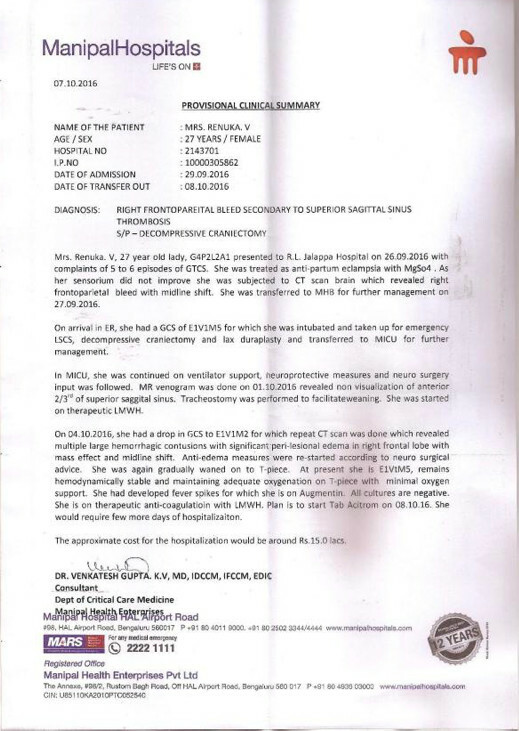 Here is an update on Renuka's treatment. I spoke to Renuka's husband, Srramappa, this morning. "My wife is getting better with each passing day. It gives me goosebumps whenever I recall those days. She was hospitalised for almost 3 months and she did not regain consciousness for a couple of months and underwent a lot of trouble during those days. 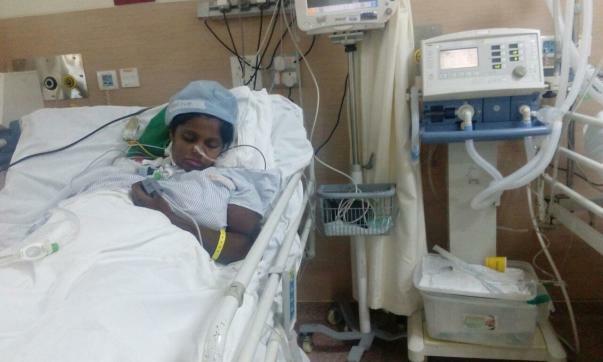 Renuka's condition was so serious that she only saw the baby when she was 3 months old. However, things have improved. And this was only possible because of the donors to came forward to make this happen. I will be indebted to you throughout", he said. The medication is providing immunity against the life-threatening disease. Renuka can eat her meals on her own, she responds, but still not in a stage where she can walk by herself. Currently, the family is in their hometown in Kolar. The child is taken care by Renuka's sister. "My sister is really lucky to have Srramappa in her life. He is extremely supportive", said the sister. 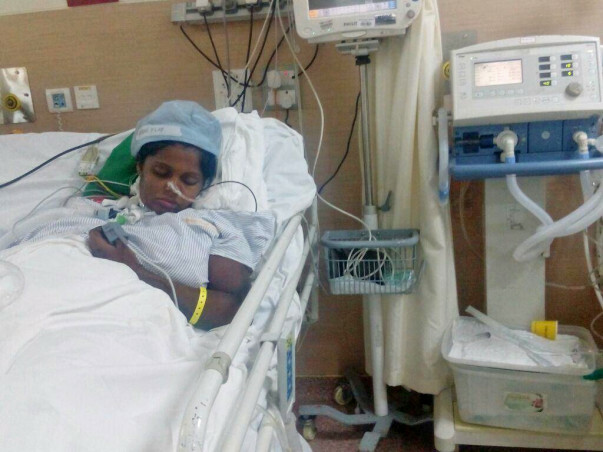 Tha family has to undergo post-operative medical expenses for Renuka which is little difficult for them to arrange. It would be really appreciable if you could share her story and help her fight the battle. Thank you, donors, for your support and contribution. We will keep you posted on her progress. Good news. Renuka has recovered significantly and will get discharged in the next week. She is now fully conscious and responding to everyone. She even manages to have food on her own once in a while. Her husband Sramappa has been by her side all throughout. She undergoes physiotherapy sessions daily for the recovery from paralysis. Once she is discharged, she will be needing home care for a few months. Please keep Renuka in your prayers and lets hope that she starts walking. Renuka had a thrombosis in her brain, which in simple terms could be referred as 'brain attack'. This medical condition is mostly prevalent in pregnant women due to hormonal imbalances. Renuka is currently out of coma. She is slowly responding by opening her eyes and nodding her head whenever we ask simple questions. Her left side of the body is paralysed because of the condition. Her left hand might not regain good strength and her left leg has shown small signs of improvement. Renuka might need two or three weeks of hospitalisation before discharging from hospital. She should also undergo physiotherapy for three months to be able to walk again. 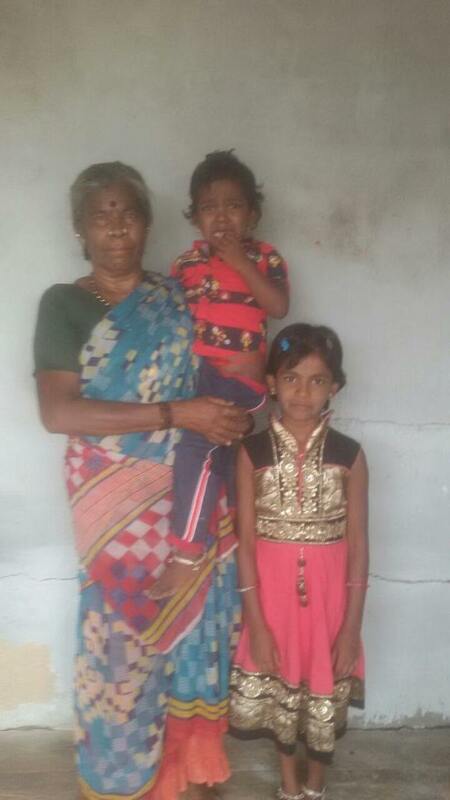 Her husband Sriramappa and children are extremely grateful for all the support provided by the donors. Let's pray for Renuka's good health. Get well soon. God bless you!! May God bless her and she gets fully recovered.